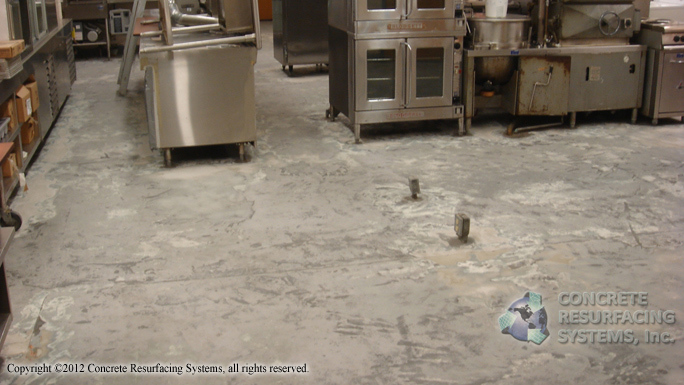 When this commercial kitchen in Yarmouth, MA failed its Board of Health inspection due to sanitary issues with the floor, the Food & Beverage Director called Concrete Resurfacing Systems. Cracks, chipping and other surface defects made it impossible to keep the floor truly clean. We prepped the floor by diamond grinding the surface, filling and repairing all cracks and defects, then applied a non-porous epoxy base coat, and finished the floor with a slip-resistant urethane top coat. 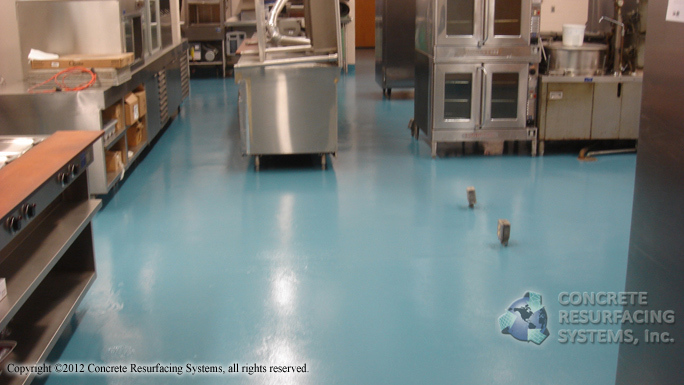 This new antimicrobial epoxy floor now meets the Board of Health and USDA requirements.